Since a couple of weeks back, three young Italians have a completely new kind of job. In the beautiful Central Apennines, they have become advocates. However, not of the ordinary kind, but rather a more special one: they have become bear advocates! Rewilding Apennines, the Italian partner of Rewilding Europe, has created part-time jobs for three guys in the area of the ”Apennine brown bear conservation project”. A project that was launched by Rewilding Apennines earlier this year, in the buffer zone of the Parco Nazionale d’Abruzzo, Lazio e Molise, in the municipalities of Gioia, Lecce and Ortona dei Marsi. We believe the “Bear advocates”, who are specially trained for this role, can play an important role in keeping a close contact with the local communities, in order to promote the bears and meet and answer the needs of the residents, tackling and helping to resolve eventual conflicts with wildlife. This idea of “Bear advocates” was first born in North America and later tested with success in other European countries, such as Spain and Austria, where it proved a useful tool to reduce the conflicts between man and large carnivores and to allow for a peaceful co-existence. 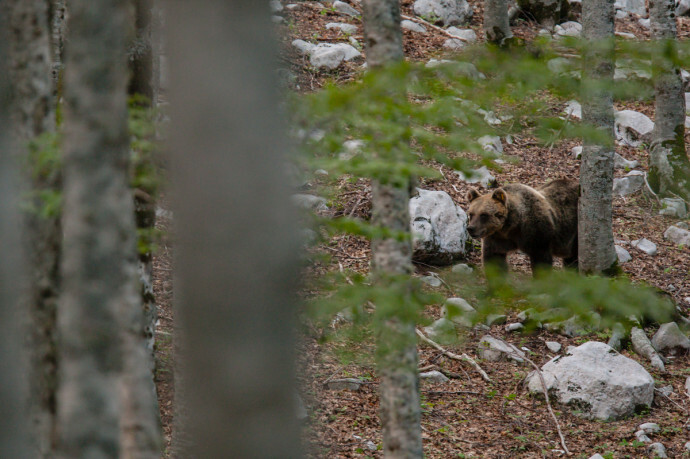 Supported by the local municipalities in Rewilding Apennines, the three bear advocates will collect data and information on the whereabouts of the animals (including managing a network of camera traps, which are useful tools for remote monitoring and control of wildlife) and establishing warm relations with the pastoralists, hunters, tourists and others who come in touch with the wildlife. Where necessary, the three will provide technical support and also electric fences for ranchers and farmers to prevent damage by wildlife. They will also help educating the visitors that are attracted by the beauty of the area and its wildlife, visitors who are already coming here in quite large numbers. Rewilding Apennines aims to help inspire local communities to make use of the cultural and economic values that come from the presence of large wildlife species, helping to create conditions for this to become a real opportunity for business, jobs and income locally. Nature conservation and economic development in the areas outside of parks and reserves are often neglected, but is often very important as they constitute ecological corridors. Therefore Rewilding Apennines is developing business plans, accommodation opportunities and tourism packages to offer in these corridor areas, especially for the international traveller target group. The result will be unique experiences in close contact with nature and with several top-of-the-line wildlife watching facilities. After careful selection Rewilding Apennines has chosen three young men who all have excellent knowledge about the areas, a great passion for nature and, above all, an active role in local community life. The work of the three bear advocates is so far funded until the end of 2015, and if it is proven successful, Rewilding Apennines will try to raise more funds for the years to come after that. Moreover, the possible increase in tourism incomes will hopefully offer a natural expansion of the professional roles and the involvement of young people here also in the future.